It is essential to keep your trampoline in good condition. The enclosure is a key element when it comes to user safety, so if your net is starting to show signs of wear and tear we advise you to change it. 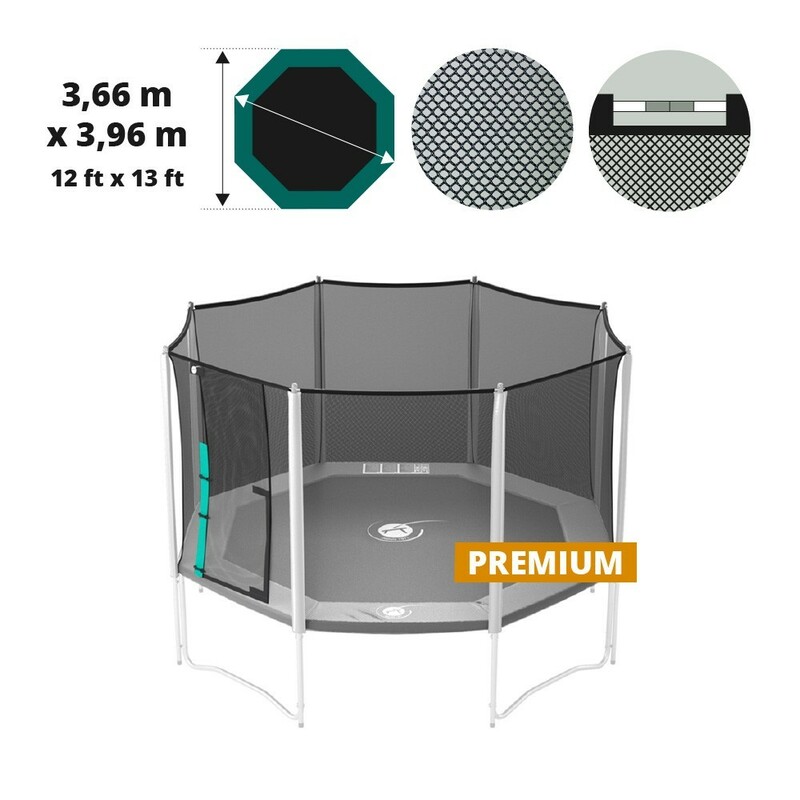 - This net is designed for our 13ft octagonal Waouuh 390 trampoline but alos other octagonal trampolines with the same measurements. This net is adapted to trampolines measuring 3.96 m x 3.66 m, with 4 feet and 8 posts. 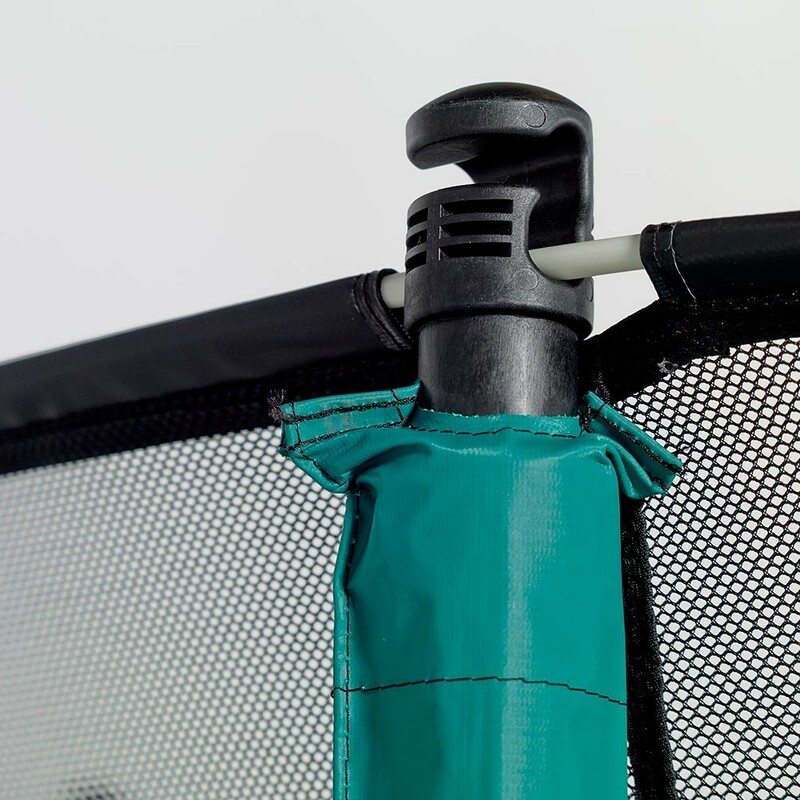 - Made from fine polyester netting, children will not get their fingers caught while jumping on the trampoline. Polyester is a solid but also soft to touch material, making the net very resistant in case of a fall. - This premium net is in held in place at the top of the posts thanks to fibreglass rods, allowing to spread out net tension. The fibreglass rods slide into the black plastic caps placed on top of the net posts. - The bottom of the net is fixed to the trampoline thanks to elastic straps with clips, that are hooked onto the spring rings. 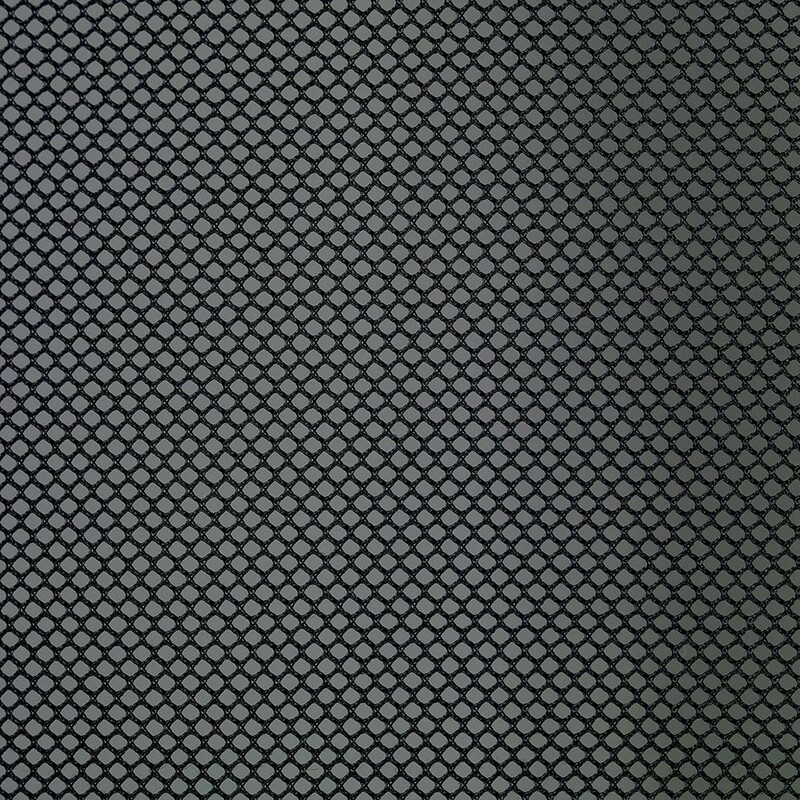 The permanent tension of the net will stop users from falling between the net and the frame pad. 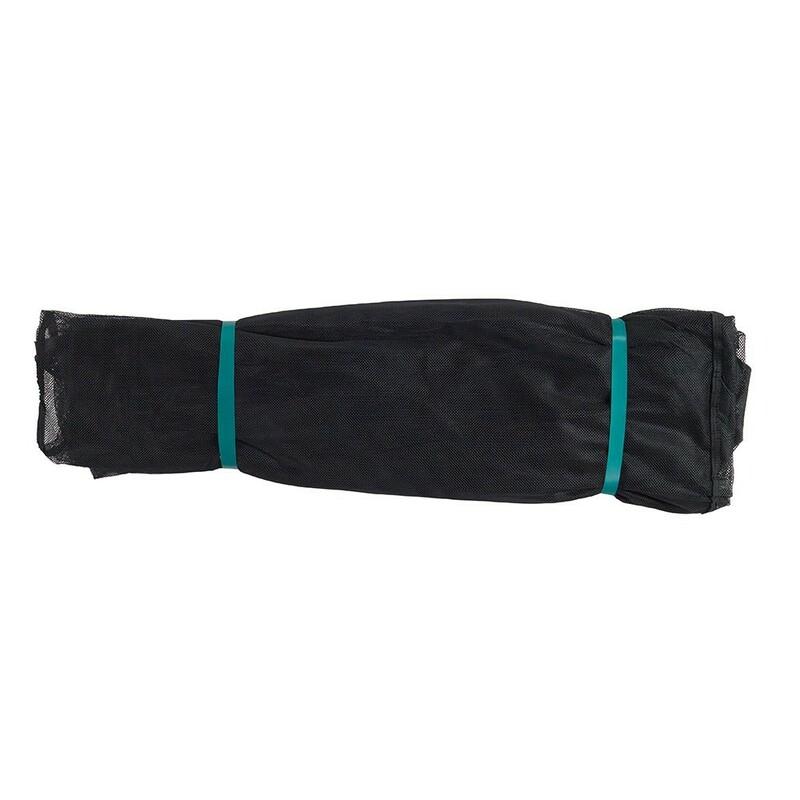 The net is placed between the net posts and the frame pad allowing jumpers to make the most of all of the jumping mat. 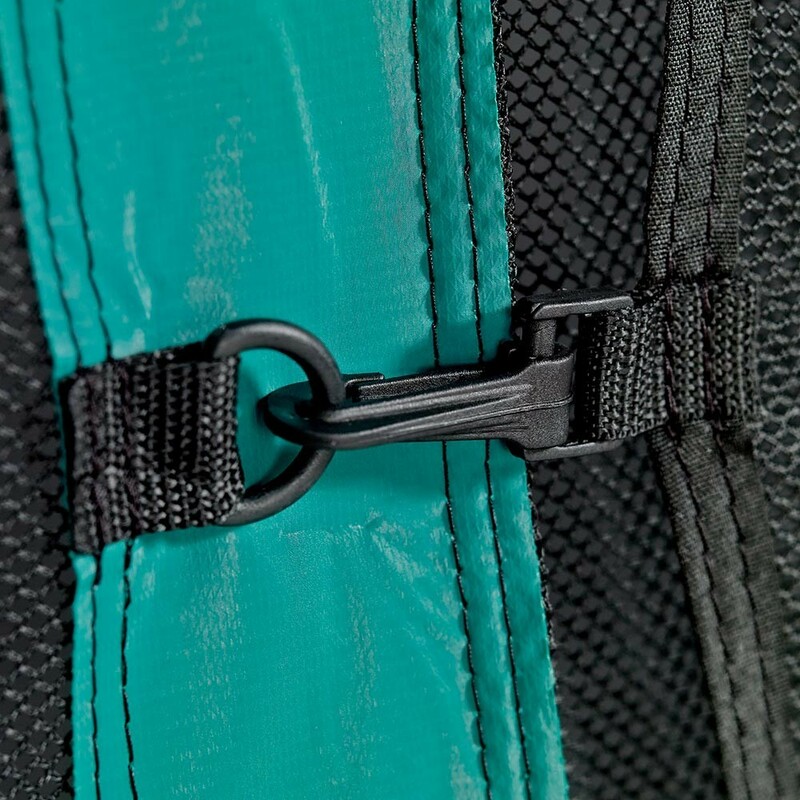 - To reinforce user safety, the net is designed with an overlapping entrance which is closed thanks to a Velcro strip on the inside and several clips on the outside. 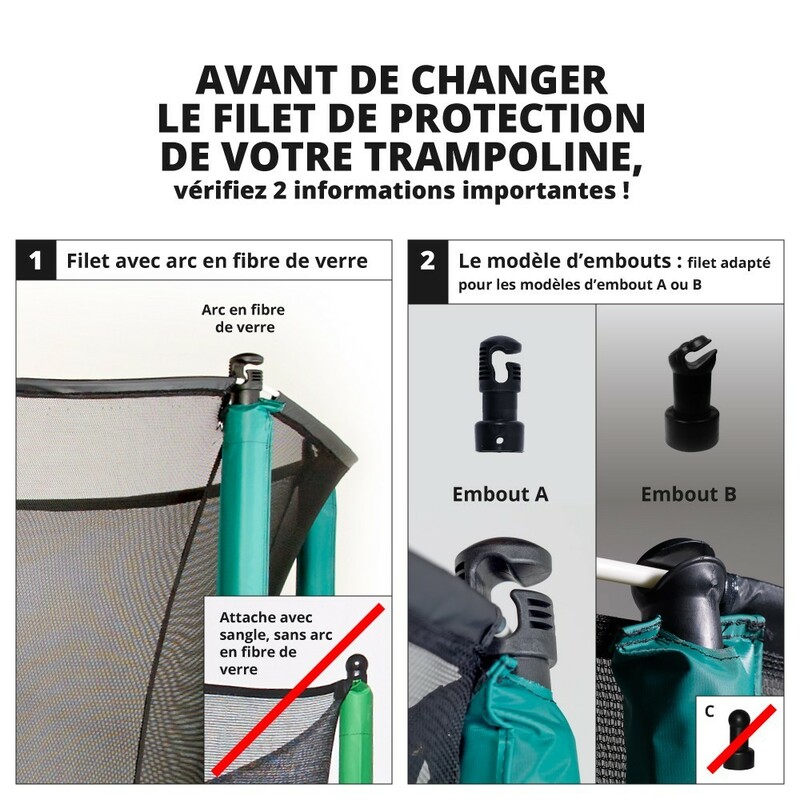 Très bon filet facile à changer , bonne qualité, le 1er avait duré 6 ans ..
Mieux que l'ancien qui a duré 5 ans.